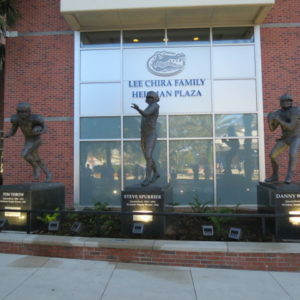 The stadium here at Florida is nicknamed The Swamp. 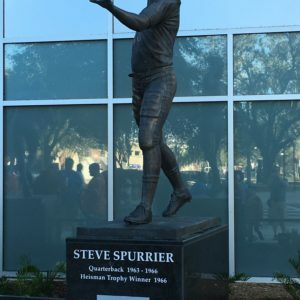 Coined by coaching legend Steve Spurrier, the nickname caught on when he famously said, “In the Swamp, only gators get out alive.” That statement holds a lot of truth as Ben Hill Griffin Stadium stands tall, imposing, and loud. 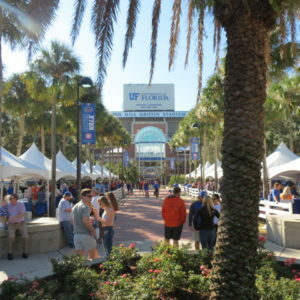 The day starts with tailgating that pops up all around the stadium, and fans gather outside the stadium’s entrance to greet the team during the Gator Walk. 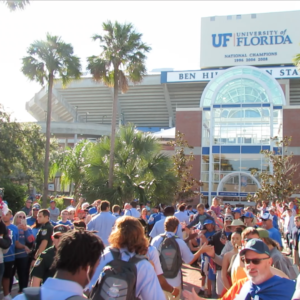 Surrounded by cheerleaders, the band, and Albert and Alberta Gator, the Gator Walk adds an exciting flair to gameday. 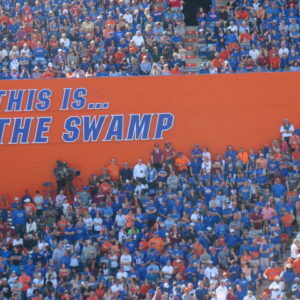 Once inside The Swamp, it’s impossible to ignore the gator chomp. 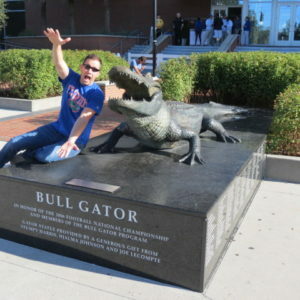 Recognizable nationwide, the gator chomp is Florida’s battle cry and chief intimidator. 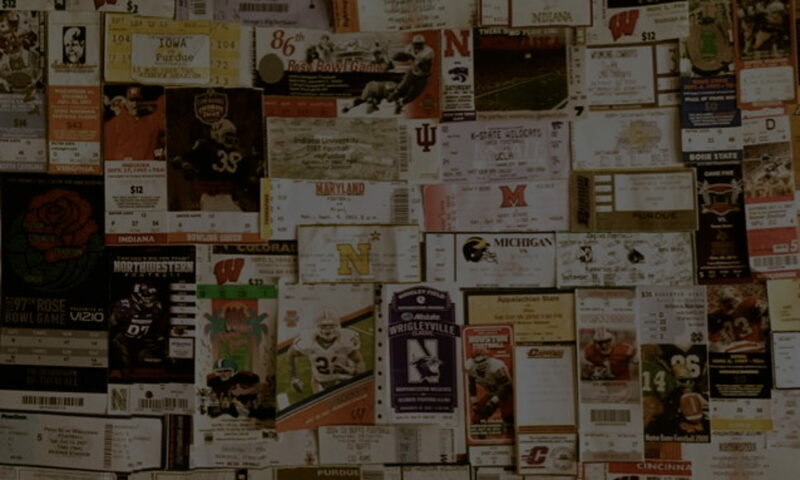 Fans extend their arms toward the competition and clap them down together to the Jaws theme. 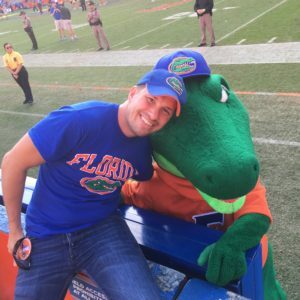 No music is needed really. 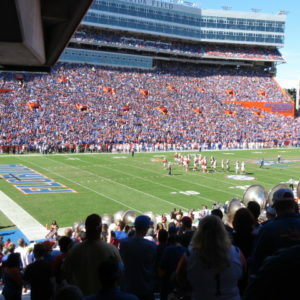 The gator chomp is a quick way for fans to respond to opposing battle cries without uttering a word. 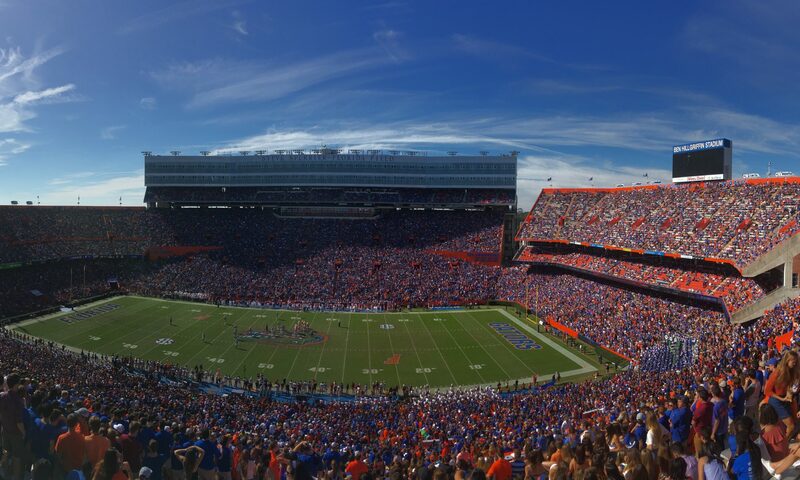 The stadium is big, bright, and SEC powerful. 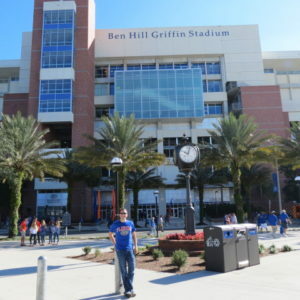 Whether Florida is playing at championship caliber or struggling through a season, Ben Hill Griffin Stadium is a force running deep with tradition. 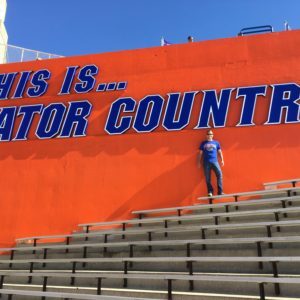 One of those traditions is the singing of “We Are the Boys of Old Florida.” It is a song that unites this fan base and a tradition that makes college football so special. 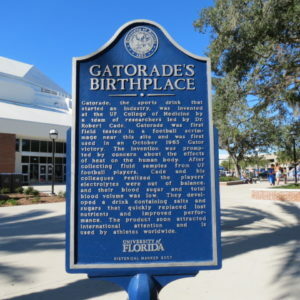 Between the third and fourth quarters, the entire crowd of orange and blue lock arms and sing this traditional tune in unison. 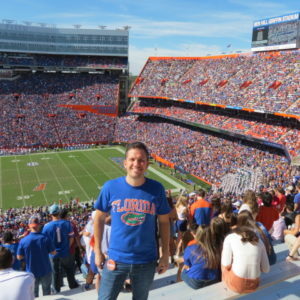 Whether singing, cheering, or chomping, The Swamp doesn’t disappoint and it proves to be a must stop for any college football fanatic.